Want to get that great teriyaki flavor into your favorite dish? 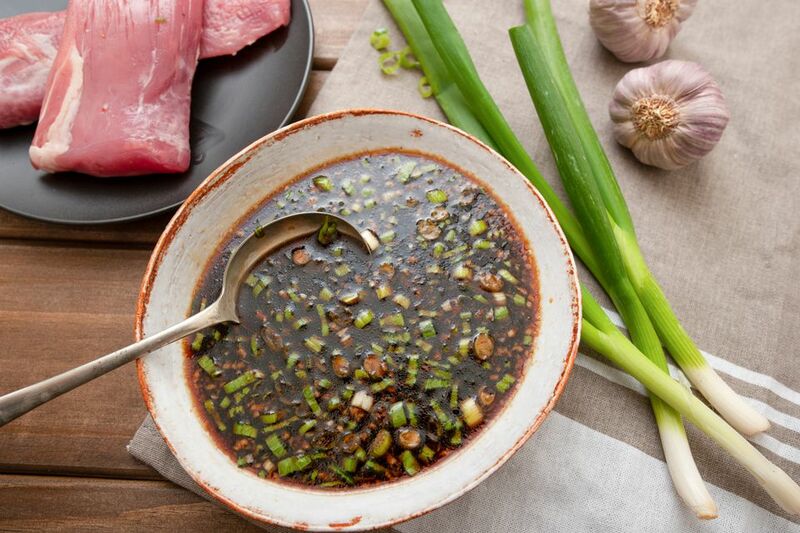 This marinade is sure to add flavor to whatever you're grilling. This marinade works particularly well with pork and poultry. You can make an extra batch, simmer it until thickened and drizzle on top of sliced grilled meats and vegetables. Combine all ingredients in a medium bowl. Stir gently until sugar is completely dissolved. Use immediately or store in a refrigerator, covered for 6 to 7 days after preparation. Marinate beef, pork, and lamb for 4 to 24 hours. Chicken and other poultry for 2 to 12 hours. If using as a sauce. Bring ingredients to a medium simmer. Stir occasionally and watch for burning. Reduce heat as needed. Let mixture simmer for 5 to 6 minutes. If still runny, then thicken with cornstarch. Dissolve 2 teaspoons cornstarch in 2 tablespoons water. Turn heat up to medium-high and add mixture, stir in for 30 seconds to activate the cornstarch. Remove from heat, let mixture thoroughly cool, and use.